India's talented chess player Koneru Humpy, second seed at the 6th Women's Chess Grand Prix, began with a win in Ankara, Turkey on Sunday. Humpy played a flawless game with Black to beat Turkey's Betul Yildiz. 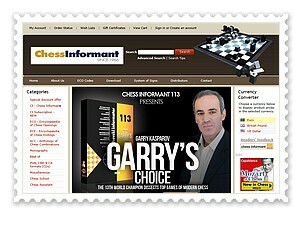 This edition is the final stage of the Fide Women's Grand Prix Series 2011-12. It is being held from September 16-28 in the Turkish Chess Federation building. The winner receives 6,500 euros out of a prize fund of 40,000 euros for the event. Humpy (right) showing her game against Betul at the press conference after the first round. 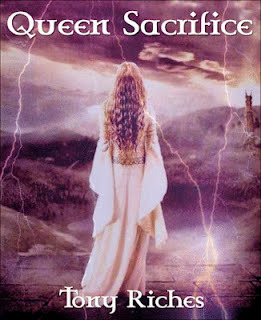 Somehow, women's chess always turns out to be more fighting than men's chess. Even the draws were fought till the last on each chess board! Only two games were drawn: Chinese players Ruan Lufei and Zhao Xue won their games Kubra Ozturk and Antoaneta Stefanova respectively. 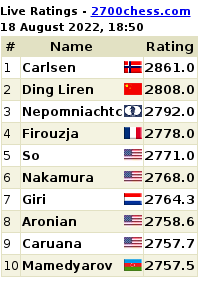 Their Chinese colleague, Ju Wenjun, drew with top seed Anna Muzychuk. Viktorija Cmilyte won over Monika Socko and Betul Yildiz. The longest game of the first round between Munguntuul Batkhuyag and Tatiana Kosintseva finished in a draw after 76 moves. 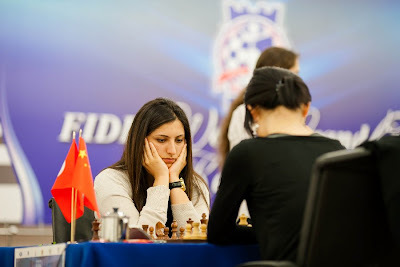 The Kazan Chess Grand Prix Round 2 highlight was the victory of Turkish chess player Betul Yildiz over reigning women's world chess champion Hou Yifan. The Chinese champion went for a sacrifice in an extremely complicated middle game and then missed the winning combination in time trouble. Betul did not let the opportunity pass her and won the game. In another decisive game of Round 2, Anna Muzychuk sacrificed a pawn as White and beat former women's world chess champion Antoaneta Stefanova. The third decisive game after a long-drawn struggle was former women's world chess champion Alexandra Kosteniuk fighting all the way to a well-earned win over Viktorija Cmilyte. 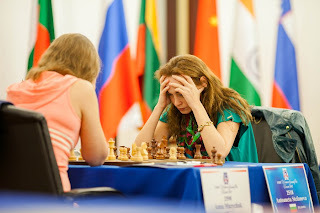 Another Russian player, Alisa Galliamova, could have gone for a clear lead by winning both the rounds but played a draw in time trouble against her country-mate Tatiana Kosintseva. Two other games also ended in draws: Katerina Lahno – Nadezhda Kosintseva and Elina Danielian – Humpy Koneru. Three players are in joint lead at the Kazan Chess Women's Grand Prix with 1.5 points each: Anna Muzychuk, Alisa Galliamova and Alexandra Kosteniuk. You can watch the tournament live from India time 4 pm at the offcial website of the tournament.